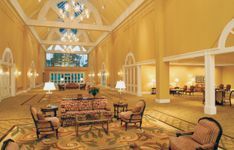 ACROSS CENTRAL FLORIDA – Meetings are always brighter in the Sunshine State; especially with the Grand Golf Resorts of Florida's Grand Bargain Meetings package. The new meeting package includes no attrition, a one-hour beer and wine reception with chef’s choice of two appetizers, 20% discount on audio visual, 20% discount on banquet food & beverage menus, three VIP suite upgrades and much more. For more information about the Grand Bargain Meetings package, visit www.grandgolfresorts.com. The Grand Golf Resorts of Florida collection includes Hammock Beach Resort in Palm Coast, Reunion Resort in Orlando and Innisbrook Resort in Tampa Bay. Each resort offers something special for every group. Hammock Beach Resort, the AAA Four Diamond-rated resort, offers a quiet retreat along the Atlantic coast. In addition to traditional meeting spaces such as ballrooms and executive boardrooms, Hammock Beach features unique spaces such as its oceanfront event lawns or its 117-foot event yacht that cruises the Intracoastal Waterway. The resort features countless amenities including golf on the newly-renovated Conservatory Course by Tom Watson or golf on the Ocean Course, a Jack Nicklaus signature design that boasts six holes of golf that play along the Atlantic Ocean, more than any other course in Florida. 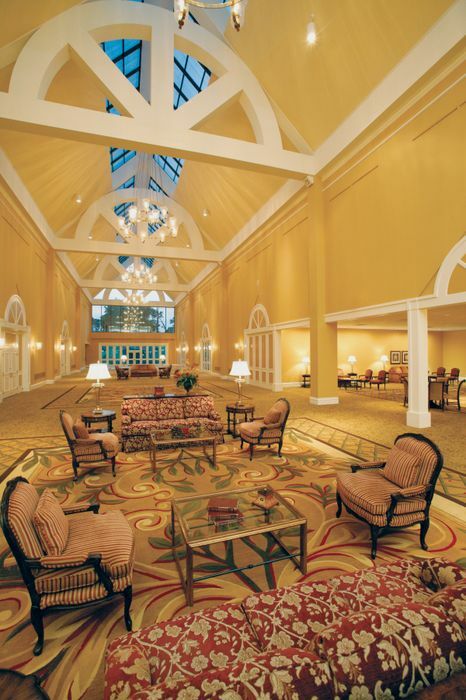 Located in one of Florida’s most desired meeting locations of Orlando is Reunion Resort. The AAA Four Diamond-rated property includes meeting spaces that range from traditional ballrooms and breakout rooms to trendy reception locations such as the rooftop restaurant, Eleven, which offers views to EPCOT’s nightly firework display. Reunion offers a number of amenities and activities including a water park, boutique spa and top-notch golf. The resort is the only location in the United States to include signature golf course designs by Jack Nicklaus, Arnold Palmer and Tom Watson. Innisbrook Resort in Tampa Bay not only features more than 100,000 square-feet of meeting space and one of the largest exhibit halls in Florida, but it includes 600 spacious accommodations. Innisbrook is also home to four championship golf courses designed by Larry Packard, including the award-winning Copperhead Course, which hosts an annual PGA TOUR event. The resort features the luxury Indaba Spa and state-of-the-art fitness facility, fine-dining restaurants, sports bars and more. The Grand Bargain meeting package is valid for meetings booked by September 30, 2014 and held by September 30, 2015. Minimum of $20,000 room revenue room spend. For rates and availability, please call 855-366-5354 for Innisbrook Resort, 855-342-8745 for Reunion Resort and 855-319-7340 for Hammock Beach Resort. Additional restrictions may apply. Salamander Hotels & Resorts is a privately owned and operated company based in Middleburg, VA, just outside Washington, D.C. Founded by entrepreneur Sheila C. Johnson in 2005, the company has a portfolio that features the Grand Golf Resorts of Florida, a collection of three stellar golf resorts including the recently renovated Innisbrook Resort near Tampa, Reunion Resort in Orlando and the oceanfront Hammock Beach Resort in Palm Coast; and Salamander Resort & Spa in Middleburg, a 340-acre equestrian-inspired resort located near Washington, D.C. For additional information, call (540) 687-3710 or visit www.salamanderhotels.com.